Can you image what it would feel like watching a film that accurately portrayed the real comic book fan? Go on. Image what it would look like. Image what it would smell like. Image what it would sound like too. And then, once you've finally stopped imaging, please check out this interview I did with the producer of a great comic book film, Gayle. 1) What are your own origins, Gayle? Plus what path did you take in life prior to getting to were you are today? My path to becoming a film producer was not a direct one. It meandered quite a bit because I wasn't one of those kids who at 12 years old proclaimed, "I want to be a Film Producer". While I was still in high school, I started working at a local radio station, and over the years worked as on-air talent, music director, program director, and eventually even station manager. Once I got to college, I searched for all of the audio production classes I could find. When I ran out of those, I started taking video production classes, which I found that I loved! Even before I graduated, I had a job working in corporate video, creating training films. Not glamorous, but I got to be somewhat creative and someone paid me to do it. Over the years, the jobs changed and I went from doing video and audio to graphic design and technical drawing. As the jobs became more corporate and less creative, I found other outlets to have fun. This sounds like an odd segue, but my brother was diagnosed with Multiple Sclerosis, and that indirectly lead me to film producing. The MS Society has an annual bike ride, so I organized a team to ride to raise money. That team has grown to 50 riders and 25 crew members, and our team has an impressive base camp and fun events throughout the year. With the help of my friends, I also hosted an annual fundraising party at a local restaurant, raising tens of thousands of dollars. We also held theme parties for the fun of it where people would show up in costume to party in a dank alley outside our apartments. In 2005, I got my big break! I got fired from the corporate job! I knew the stuffy corporate setting was not for me, but it's scary to just walk out. So, them holding the door open for me was a huge favor! I knew I did not want to go out and get another corporate gig, so I decided I would give myself a year to survive doing graphic design. 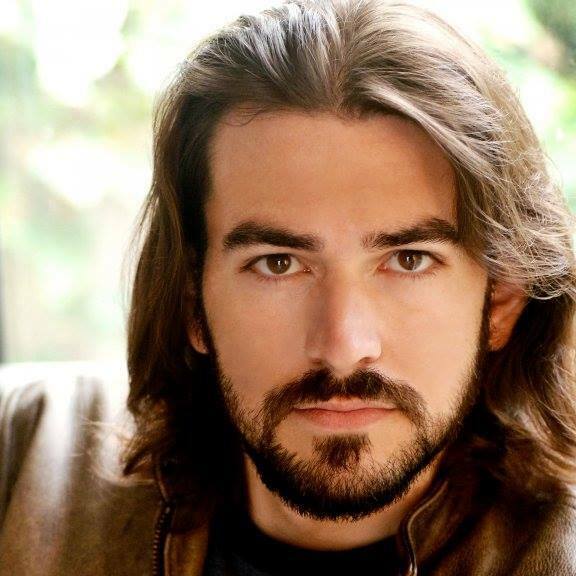 At that same time, the writer / director, Wyatt Weed, had come to St. Louis from LA to work on a short film. (I had known Wyatt for years - we had met at a party in St. Louis while I was still in college). Wyatt and Bob Clark were prepping to shoot "Timeline" in St. Louis, and needed crew. Since I did not have a day job to go to, I offered to come do audio for them. After "Timeline" we did a music video called "Recap". It was on this project that I realized that all the years of organizing parties and events and the bike team had been practice for being a film producer. It was all the same organizing skills - who needs to be where, when do they need to be there, what props do we need, what are we feeding people, do we need any special equipment or vehicles, etc. Without knowing it, I had been working towards film producing for ten years doing what I loved doing for fun! 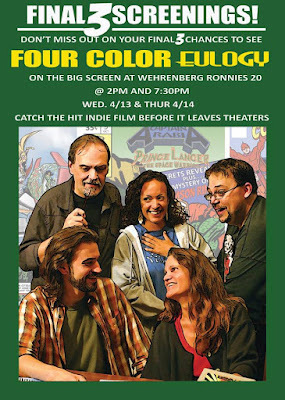 2) How did you come across ‘Four Color Eulogy’? Plus what part do you play in these proceedings? In 2007, Pirate Pictures (myself, Bob Clark, and Wyatt Weed) along with 30 hired crew members and 100 local actors, created the vampire thriller "Shadowland", which starred Caitlin McIntosh, Carlos Antonio Léon, and Jason Contini. We have remained close friends with all of them. Jason and his father, actor John Contini, created the story of "Four Color Eulogy" and then Jason got his writing buddy, Nicholas J. Hearne, involved. Last summer, they asked Wyatt Weed to take a pass at the script, and it has since become a work by all three of them. Jason had been living in LA for a few years and decided that he wanted to come back to St. Louis to do this film, since it took place in STL. He asked Wyatt, Bob, and myself if we would be interested in helping out. We all loved the script and agreed that we would team up on this production and make it happen. So, I am producing this film, along with Jason and Nick. 3) In your own words how would you describe this story? 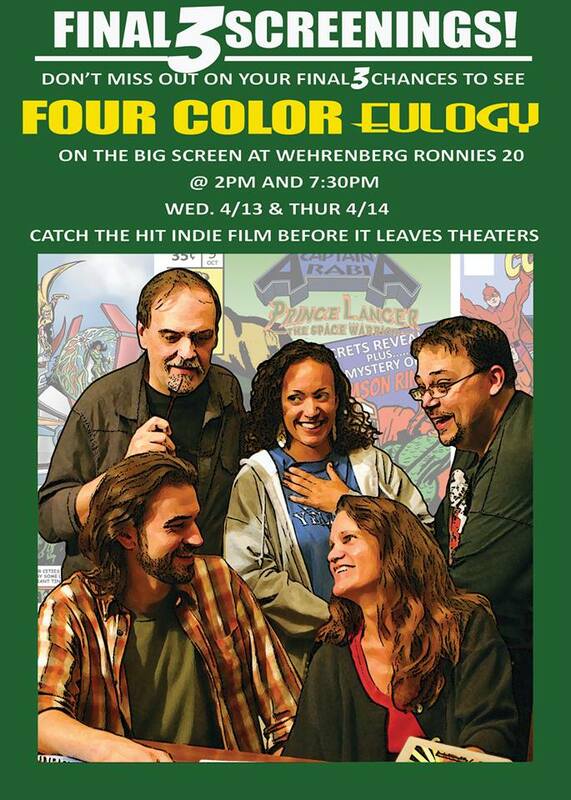 We've been saying that this film is about "Family, friends, and well… comic books". Those are not my own words. In my words, this film is about trying to figure out how to move forward when your life has just taken a jump backwards. It's about realizing that the past does not make you who you are, and that your true family is who you choose it to be. And… there's comic books involved. In a nutshell, the story is about 30-something Chris who is a wannabe comic book creator. He has to return to the midwest after a ten year absence when his mother gets sick. So, now he has to figure out what he is going to do with his life. I love that this film is about comic book geeks (Chris hooks up with his childhood friends) but that they are not your stereotypical Hollywood, non-social, living-in-your-mom's-basement comic geeks. These are real people, with real jobs, and real problems, who just happen to be fans of comic books! 4) If this film omitted a collective odor, what would it smell like and why? 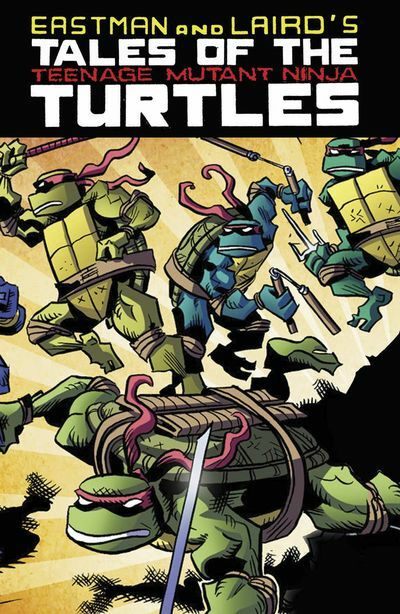 In January, at one of our production meetings, Nicholas Hearne brought over one of his prized Christmas gifts - Teenage Mutant Ninja Turtles #4. He handed it to Jason who's first move after carefully opening the cover was to gingerly smell the pages. I thought that was odd, but when he passed it to me to smell, the scent suddenly brought back a flood of nostalgia for me. That is what this film smells like… it is coming home, digging through the basement of your personal history, finding your roots, even if it is in a box somewhere! 5) If you could get a known celebrity – either living or dead – to promote this flick, who would you chose, and why would you want this particular person? If I could get someone to talk up this film…hmmm… Kevin Smith comes to mind because of his indie film background and love of comics. Nicholas Cage because he is comic geeky (Wyatt has a great story about meeting Nicholas Cage in a comic shop while he was doing some sculpting on display there). 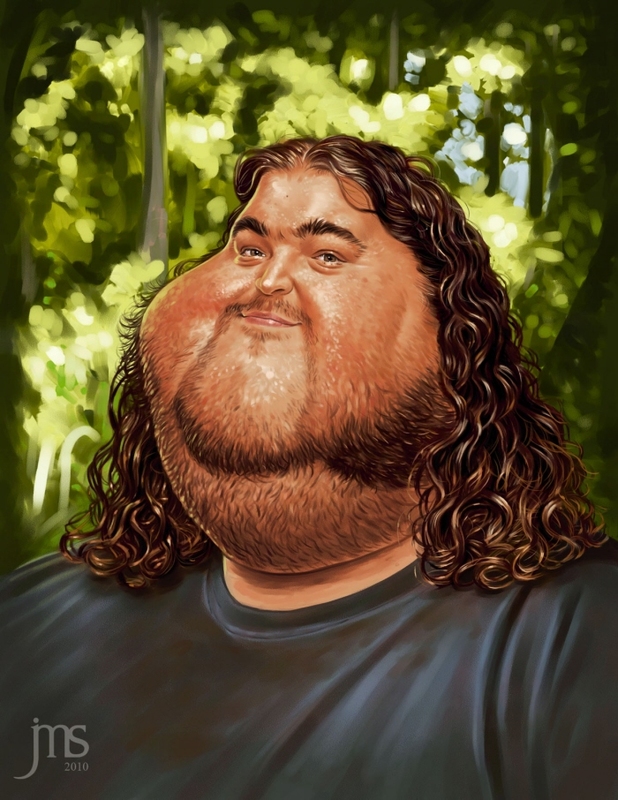 Although, those names being said, I think I would love to have Jorge Garcia talking up this film. There is just something about him that seems like he would be your buddy -- he would be the "Brian" character in this film -- the guy who you would love to hang with at the comic shop on New Comic Wednesday, and share your treasured finds with. 6) What were the main obstacles you had to contend with along the way? Money. Well, LACK of money. On "Shadowland" we had an investor who footed the bill. This gave us the freedom to be creative and focus on the production side of things. 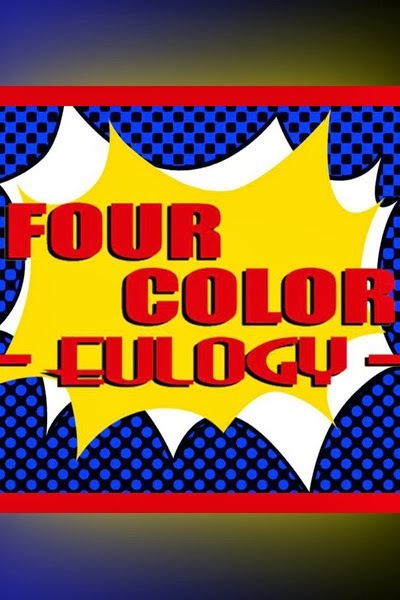 On "Four Color Eulogy" we are raising the funds on our own. It is a team project, and we are depending on many people to become part of this team, to be as passionate about the project as we are and donate money to it. It's tough, but we believe our goal is attainable. We know money is tight for everyone, and we are offering some fun gifts to people who donate: DVDs, Soundtracks, your name in the film, a chance to visit the set and be IN the film, limited edition sketches from one of the comic artists featured in the film, etc. We are even offering a limited-edition comic book that is being created just for the film. If we can get 1000 comic book fans to pledge at the $75 level and claim one of these comic books (we will only be printing 1000 of them), we will reach our fundraising goal. 7) Do you have any other projects on the horizon? I love that people always ask "What's Next?" when this project isn't even off the ground yet. Usually, I think "Wow! Let me get my head wrapped around this project before we start thinking about what is next". However, that is not the case here. The truth is, we have a couple of projects on the horizon that we are excited about. The first one is a short film called "SECURITY" that I wrote (my First script!). I am hoping that we will be able to squeeze it in this spring when (if?!) the weather warms up before we start principle photography on "Four Color Eulogy". The second one is a fan film that Wyatt has written. We are not sharing any details yet, but we are quite excited about this project called "REBIRTH" that we hope to film either later in 2014 or early 2015. 8) If ‘FCE’ had a motto, what do you think it would be? "It's never too late to let go of the past and it's never a good time to laugh at death… even when it's funny." So there you have it, comic book pals. 'Four Color Eulogy' and my mate Gayle in a nutshell. When you have the time please check out their facebook page and twitter stream. Also, if you'd like to see how this production is progressing in a more direct fashion, of course can check out their main website too.